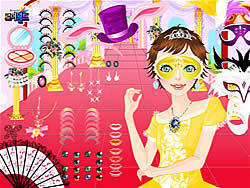 Are you ready for the masquerade ball? Dress up this pretty lady with a wide selection of clothes. Enjoy!